There's been a lot of talk lately about travel being super cheap. And it's absolutely true. For example, right now you can fly to Paris, as in your dream vacation city, for under $400 round trip. Norwegian Airlines is selling round trip tickets from New York City to Paris for only $398, during the months of January and February. The super cheap tickets are for Tuesday, Thursday, and Sunday travel. But honestly, most days you'll get a decent deal. Now this price is subject to change, meaning you'll have to make up your mind and book as soon as you see this. Additionally, many of the lowest low fares on Norwegian do not include a piece of checked luggage. More information on that can be found on the Norwegian airlines website. But really, even with extra fees, this is an exceptional price. Just try not to brag about the low cost of your ticket. OK, go ahead and brag about it. 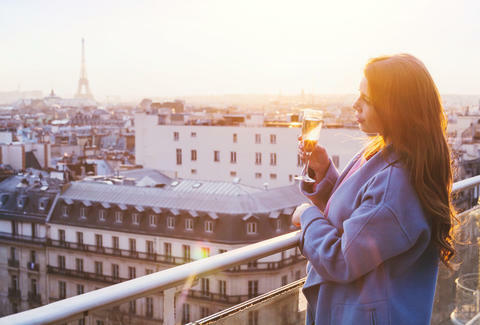 Kara King is a News Writer at Thrillist and you won't believe how cheap her ticket to Paris was. Send news tips to news@thrillist.com and follow her at @karatillie.